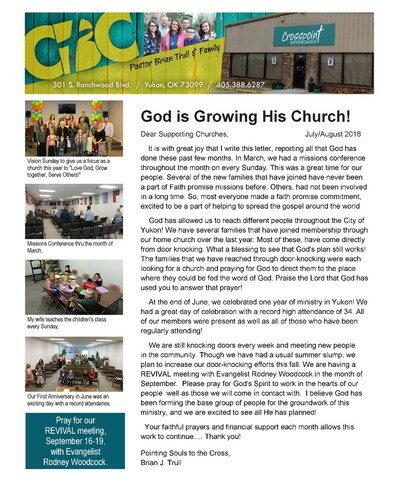 I am so excited to tell you how God is blessing the ministry of Crosspoint Baptist Church in Yukon. We have seen God reward the hours of weekly doorknocking with a number of visitors each Sunday, both first-time and returning. We have a large number of prospects, and we ask you to pray with us for God to work on their hearts about visiting our services soon. We are also praying for a welcomed opportunity to share the gospel with any prospects we visit or people we meet. In August, a youth group from Fairview Baptist Church in Little Rock, Arkansas, came to Yukon on a mission trip. In less than two days, they helped us reach over 2000 homes thru doorknocking and canvassing. What a blessing these young people were to us! In September, we held a Revival meeting with Bro. Rodney Woodcock. 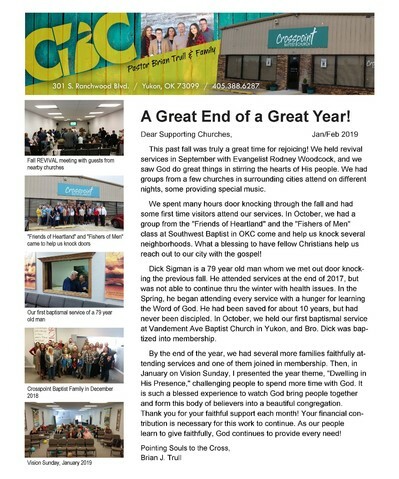 There were first-time visitors as well as guests from other churches in Yukon and surrounding cities. Through the week, God's Spirit moved in hearts and a number of decisions were made. For the last several months, we have averaged in the high twenties in attendance. 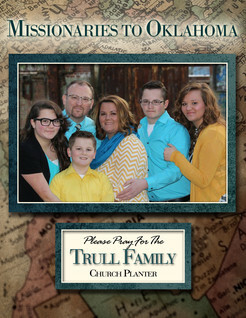 Plus, three more families have joined membership. 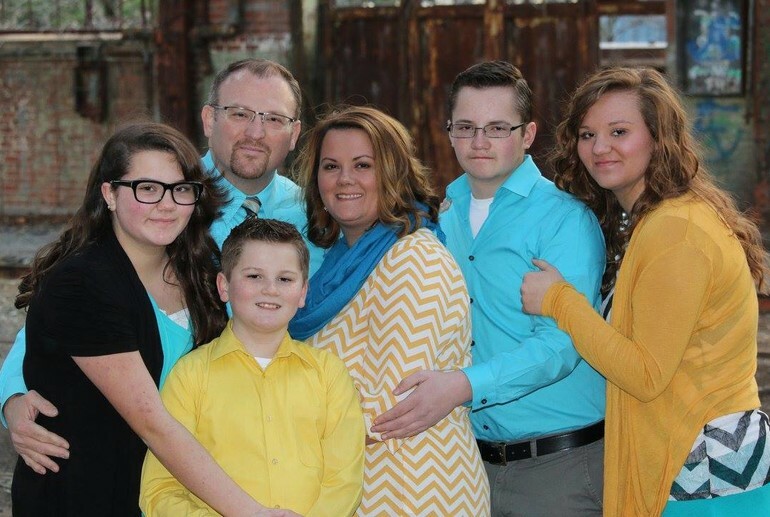 In November, we had an Open House Sunday with our pastor, Jon Horton, as our special guest to preach and meet the people. We were blessed with many first-time visitors and one soul come to know Christ. Praise the Lord! 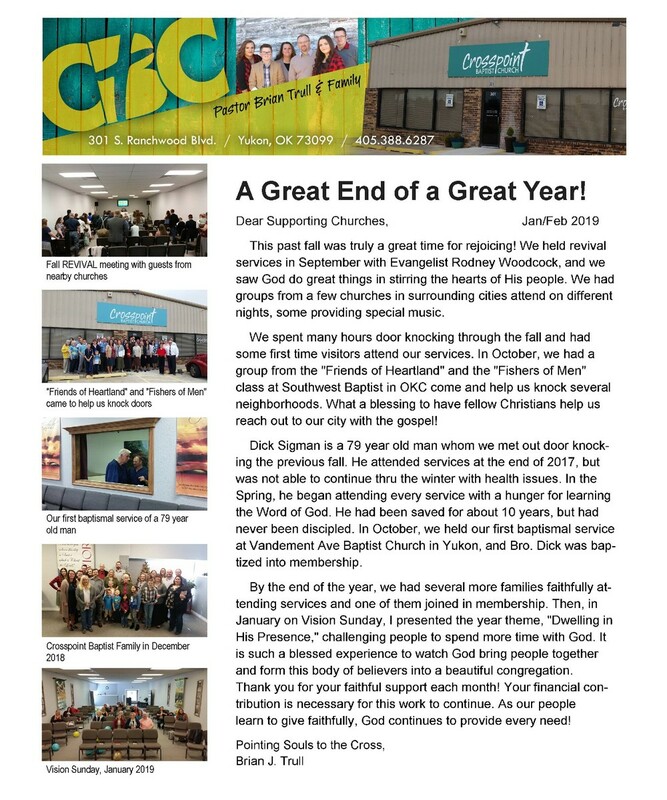 It has been a tremendous joy to see our financial needs be met continually through offerings from churches and individuals received during conferences this year that focus to help church planting. However, it has also been overwhelming to see our people give sacrificially and faithfully every week. We began meeting in October on Thursday evenings for a midweek Bible Study. This has been a great opportunity to increase the effort to disciple people as we explore the Sermon on the Mount from the book of Matthew. It is so exciting to watch these people who have never known each other before grow closer together in the Lord. Their hunger for the Word of God and their desire to serve is so encouraging. 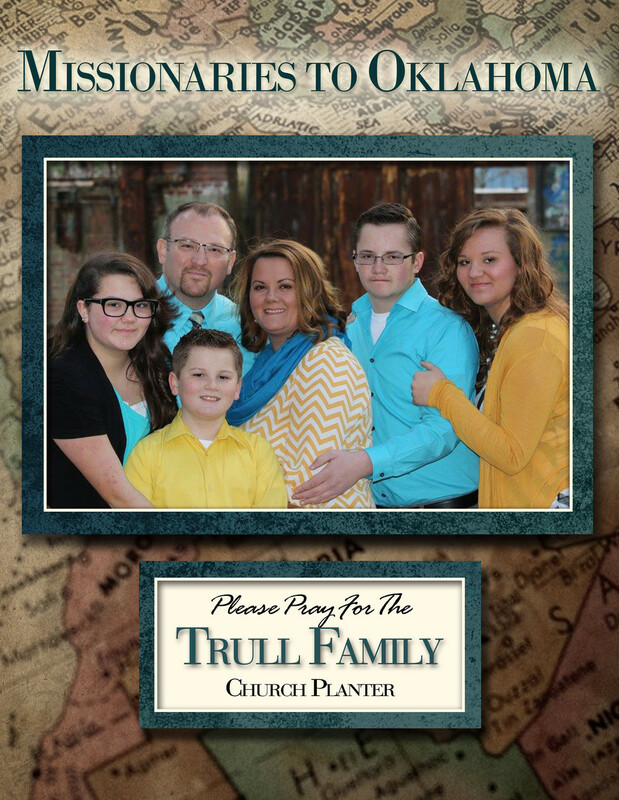 God is building His church, and we are thrilled to have a part in what He is doing! Thank you for your support, both financial and prayer. Check out www.facebook.com/CrosspointYukon for more information.